Clients rely on Claire Durante McBrien to negotiate some of life’s most challenging decisions and legal matters involving their families. She recognizes the emotional impact divorce can have on clients and helps them to identify and focus on their long-term objectives, rather than their current circumstances and emotions. Claire is a thorough, energetic attorney who believes in the importance of excellent customer service. Relying in part on her background in finance, she focuses on complex domestic relations matters, including divorce, custody, visitation, child support, alimony and property distribution. 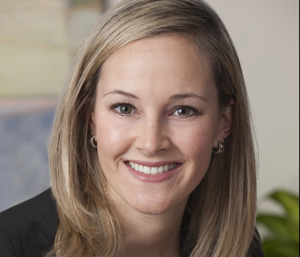 Prior to joining the firm, Claire served as a judicial law clerk to the Honorable Nelson W. Rupp, Jr. in the Circuit Court for Montgomery County, Maryland, where she dealt primarily with family law matters. Claire obtained her Juris Doctor from the University of Maryland Francis King Carey School of Law, where she was a Rose Zetzer Fellow in the Women, Leadership and Equality practice-based learning program and an Executive Member of the Moot Court Board. She also represented individuals facing tax controversies through the law school’s Low Income Taxpayer Clinic. Upon graduation, Claire received the William P. Cunningham Award for exceptional achievement and service to the school. Claire is a member of the American Bar Association, the Maryland State Bar Association and the Bar Association of Montgomery County. She was born and raised in the Washington, DC area, where she continues to reside with her husband and children.